Out of the 26 injured, 18 have been shifted to a hospital in Nalagarh in Solan district. Apart from the 18 injured, 8 of them have been seriously injured and have been shifted to Post Graduate Institute of Medical Education And Research (PGIMER) at Chandigarh. 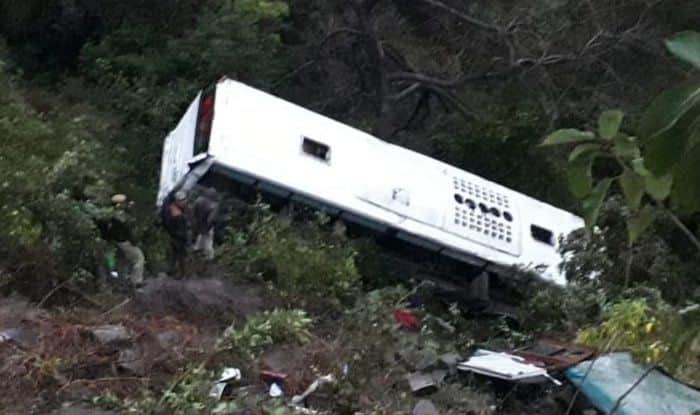 Shimla: At least 26 people have been injured after a tourist bus skidded off the road near Swarghat area in Bilaspur district on Tuesday morning. Out of the 26 injured, 18 have been shifted to a hospital in Nalagarh in Solan district. Apart from the 18 injured, 8 of them have been seriously injured and have been shifted to Post Graduate Institute of Medical Education And Research (PGIMER) at Chandigarh. On January 5, at least seven people, including six children, were killed when a private school bus rolled down a gorge in Himachal Pradesh’s Sirmaur district, police said. As per the reports received at the state headquarters, the bus of Dadahu Aadarsh Vidya Niketan School, carrying 18 children, skidded off the road near Khadkoli on Dadahu-Sangrah Road at around 8 AM. Three students and the bus driver died on the spot, another three children were reported brought dead at Nahan Civil Hospital, officials said. 10 of the 12 schoolchildren were injured. Last year, a person was killed in a bus accident near Namhol in Bilaspur district. At least 18 people had sustained injuries and were shifted to a hospital in Bilaspur.